Kuha‘o Zane, Creative Director of Sig Zane Designs and SZKaiao comes from a generational Hula family and practice that grounds and informs his day to day career as a designer. Zane, who studied graphic design at the Fashion Institute of Design and Merchandising in Los Angeles, was a member of PBN’s Forty Under 40 class of 2015. He’s worked with his father, company founder Sig Zane for the past 16 years, on everything from the company’s signature aloha shirts to their new O‘ahu location, Sig On Smith. 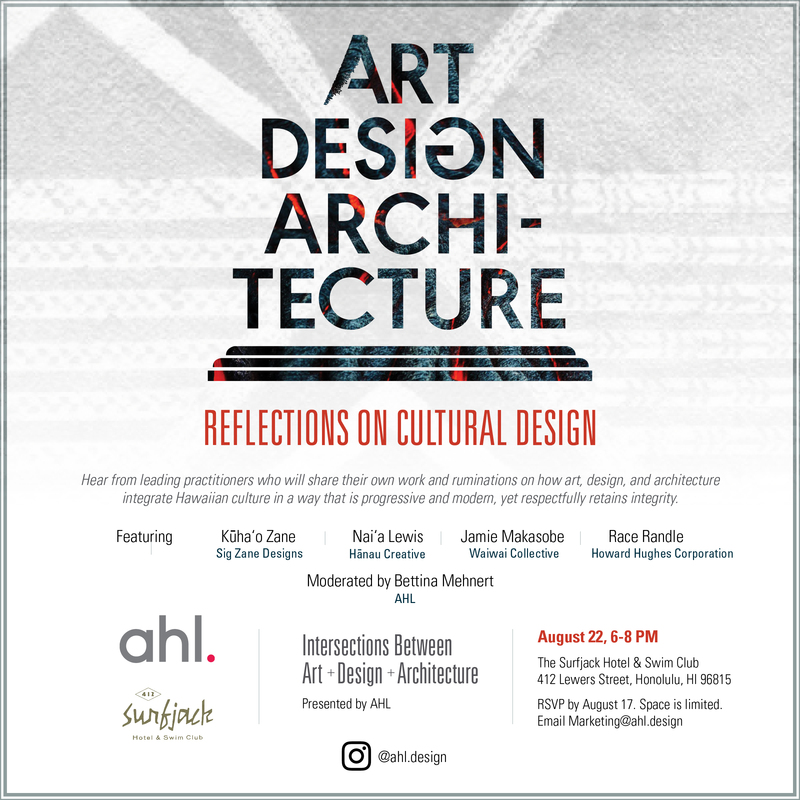 Kuha‘o has worked with his father and Hilo design team SZKaiao, to expand their unique design aesthetic to now include airplane liveries, hotel interiors and surfboards. Born and raised in Hawaiʻi, Naiʻa Lewis is a practicing artist/healer who has worked for more than 20 years to engage, empower, and express the voices of the vulnerable and marginalized, particularly those of women, indigenous peoples, and minorities. She has also worked within the Native Hawaiian and conservation communities, where she has helped to develop cross-cultural initiatives to more effectively translate natural resource management projects to indigenous communities. As founder of And Still the Waters Rise (ASTWR), she blends contemporary expressionism with indigenous identity and belief systems through multiple media. She produces the ASTWR podcast that amplifies the voices of independent thinkers and doers in the Pacific, and creates her own solo artwork as well as facilitates group-art experiences to help people more effectively connect to self and others. Nai‘a earned her journalism degree from the University of Hawai‘i at Mānoa. Jamie Anne Kawailehua Makasobe is from Kāneohe, O‘ahu and currently resides in Keaukaha on Hawaii Island. 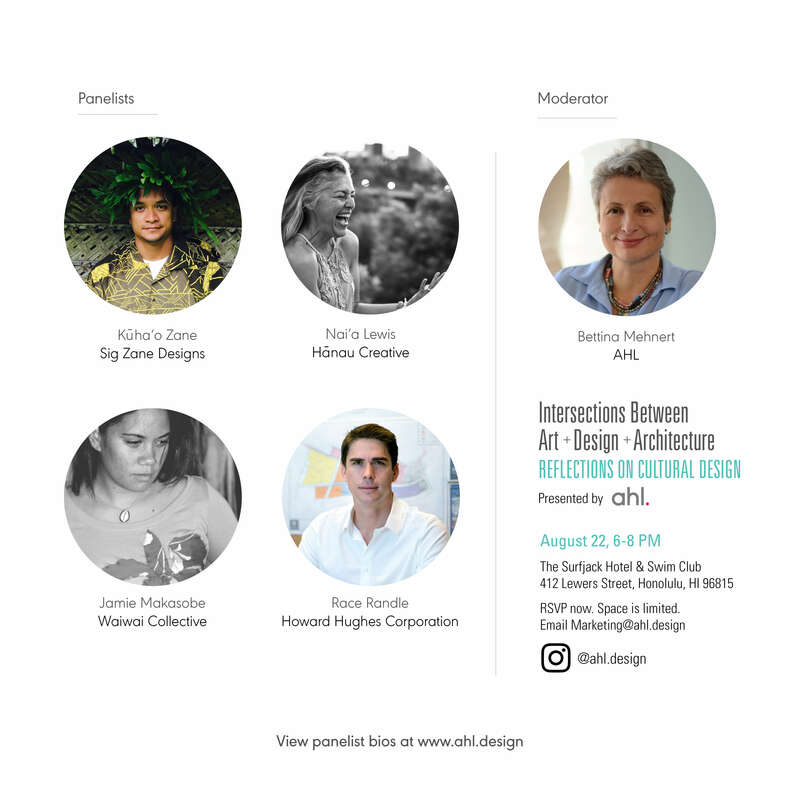 She is co- founder & designer of Waiwai Collective, Kealopiko & MOTU Living. Her work is inspired by the stories of her ancestors, and the natural, cultural and historical landscapes of Hawai‘i. She carries a BS in Public Relations & Electronic Media from the University of Oregon and an Interior Design Certificate from the Art Institute of Seattle. Race Randle serves as Senior Vice President of Development for The Howard Hughes Corporation. In this role, he oversees the planning and redevelopment efforts of Ward Village, a 60-acre urban master planned community in Kaka‘ako which will include more than 4,500 homes and approximately one million square feet of retail space. Under his direction, Ward Village is quickly becoming a vibrant award-winning neighborhood that offers something for everyone: a wide range of homes, unique local and national retailers, complete streets, new open spaces, and an improved waterfront. Prior to his current role, Race managed the development of master planned communities in Hawai‘i for Forest City and Castle & Cooke Homes. Currently he serves on the boards of the YMCA of Honolulu, The Trust for Public Land, Hawai‘i’s High Technology Development Corporation, and The Hawai‘i Architectural Foundation. Race also serves on the management committee for the Hawai‘i chapter of the Urban Land Institute. Race is a lifelong Hawai‘i resident who holds an MBA and a bachelor’s degree in civil engineering from Cal Poly in San Luis Obispo.